The man behind AIA Contract Documents, the comprehensive legal document system from AIA. For years, small firm architects have been a bit disgruntled about the bulky, intimidating documents. In the past few years, AIA has been working hard to serve the small firm community and AIA Contract Documents have evolved to provide documents specifically for small firm architects. This week at EntreArchitect Podcast, AIA Contract Documents for Small Firms with Ken Cobleigh of the American Institute of Architects. 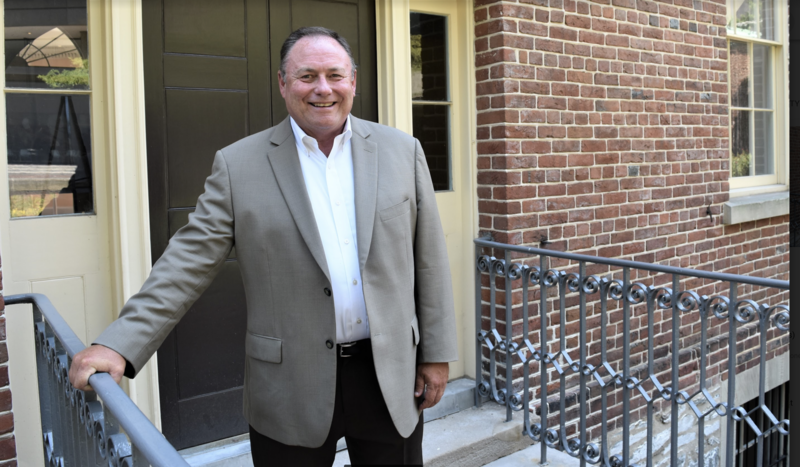 Ken serves as Managing Director and Counsel, AIA Contract Documents. He works with a team of lawyers, specialists and support staff, and the AIA Documents Committee, in developing and publishing AIA Contract Documents, and in providing support services to contract document users. Ken joined the American Institute of Architects in October 2006. Ken is a graduate of the University of Maryland where he earned both his B.A. and J.D. with honors. 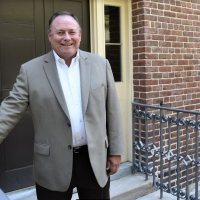 After earning his law degree, and prior to joining the AIA, Ken practiced for eighteen years as a construction attorney in private practice Maryland law firms. During that time he represented owners, contractors, subcontractors and design professionals in a number of dispute resolution forums, including State and Federal Courts and administrative agencies, mediation and arbitration. After graduating college, Ken was a police officer for several years before he decided to move on to something different. He graduated from law school and went to work at a general practice firm. 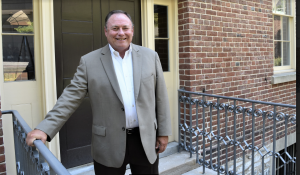 One day, he ended up an associate to a partner on construction cases where he learned a lot of information at an incredibly fast pace. Once he developed his expertise in construction, he moved to another firm where he had a majority of architect and engineer malpractice cases. Now, every day, he gets to work with bright architects, lawyers, and others in the industry to develop good tools and put the law to work in a good way. Why should we be using AIA contract documents? The contract is an essential part of the relationship. At the end of the day, you’re in a business relationship built on a set of understandings and promises. Architects make promises about services rendered, and the owners make promises about payment. What each person understands can be different, so the contract is where everyone lays out rules for issues that could arise. We never like to think that a project could end poorly, but sometimes there are disputes. All of these potential issues can be addressed up front with the contract. What type of documents does AIA provide for small firms? For those practicing in residential and commercial, there’s a wide range of documents available. Many vary in size for different firms. The smaller the contract, the less things have been fleshed out for clarity and the more things will be open to interpretation by the parties. AIA cautions everyone that, depending on risk tolerance, they suggest the contract that will do the best job of making things clear and minimizing risk. Small, low-cost projects may allow use of a shorter form. Longer forms may have more potentials for alternate dispute resolution or licensure for the services. There’s a specific agreement (B107– 2010) for an architect and a developer builder where there’s some replicated spec houses in a development. The contract lays everything out and clearly limits the roles and responsibilities of the architect, assuming that the builder is experienced and should be able to take on responsibility for the selection of finishes, equipment, etc. Essentially payment is for the design, and the architect agrees that the design will be replicated. When providing pro bono services, one document (B106- 2010) starts with a standardized limitation of liability and prompts the architect and owner to agree on different line items and set limits on number of meetings the architect will attend and number of revisions. This way, the owner understand that the architect will meet certain expectations for their unpaid work. In order to encourage this work, the form is free to download in PDF format. Rather than renegotiating contracts with a previous client, architects and negotiate a working set of terms and conditions. This group of documents (B121- 2014 and C421- 2014) that came in response from feedback from small firm architects. Where can people find this information? There’s a guide that AIA published with input from various groups called the Guide to AIA contract documents for small projects: Resources for small project practitioners, sole practitioners and custom residential architects. What’s new with AIA contract documents? AIA launched an online, web based product that addressed a lot of concerns that Mac users experienced. It also allowed people access to documents anytime, anywhere. Most importantly, small firms wanted to be able to have documents on a one-off basis. The new, web based product allows architects to purchase fully functional documents one by one based on need. Like any software, it’s subject to development quirks. What about construction management documents? There are two distinct construction management delivery models. One where the construction manager is ultimately the project constructor, but they come on early to help with pre-construction services. The construction manager also may come on as a separate consultant or advisor to the owner to oversee the work, they’re not actually doing the construction work. Check out the documents online at AIAContracts.org. Thanks Bob. We’ve updated the link for the AIA Guide to AIA Contract Documents for Small Projects.